My name’s Amy. I’m originally from Northern Ireland but I moved to England about a year and a half ago. I live here with the lovely Jim in a sometimes tidy terrace house in the centre of Leicester I work in event management and Jim’s currently in the middle of his PhD. 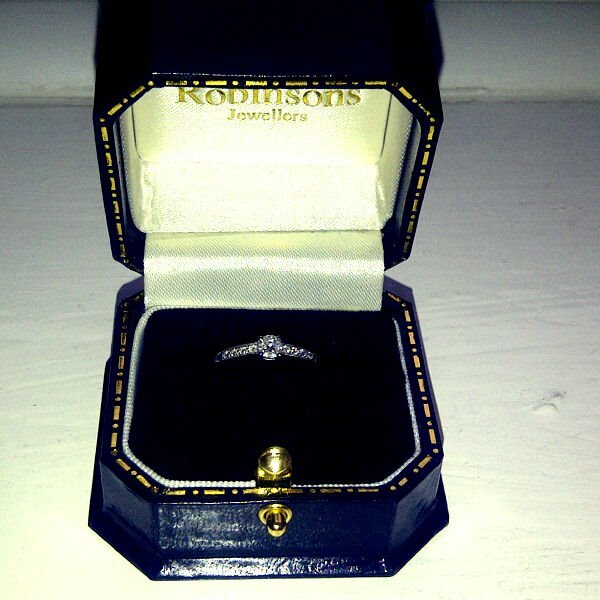 Just over a year ago, Jim proposed. We started going out 10 ½ years ago, but his proposal was very much a surprise! One year from today, 17th May 2014, we will get married (!!!) and I have decided to write a blog over the course of the next year as we plan our day. I’m having the time of my life researching and planning and some of the things I come across might be useful for other people planning weddings. After James proposed, we had a brief chat about how we’d like our wedding day. Brief, mostly because I was petrified if I talked about it as much as I wanted to, he’d change his mind! We had similar ideas, mine maybe slightly more developed , but it was a great starting point. The main thing we agreed on however was that we wanted the day to be fun and to really reflect us as a couple. So…as a couple…what are we? 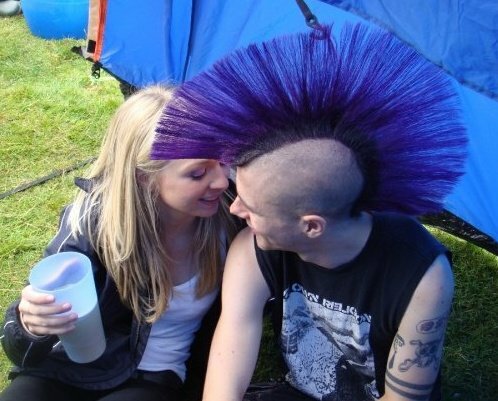 Well… Jim’s a mohawk-sporting punk & anarchist. He’s vegan and likes his music political and fast. He is a drummer, currently for a Leicester based UKHC punk band. He cycles everywhere (including the 30 mile round trip to university each day) and plays for an anti-facist football team. He loves reading and gardening, and hates shopping and wearing a suit. He is the oldest sibling of 4 and his sister recently made us the proudest aunt and uncle ever to a beautiful baby girl. As I mentioned above he is currently midway through his PhD, researching the links between Punk music and Anarchism in a contemporary global setting. Which means he spends a lot of his time reading books and listening to music, effectively living the dream! Right now he's on a 3 week research trip in Poland. He’s very intelligent and passionate about what he does. He is an amazing cook and generally can turn out a restaurant worth version of most things I suggest. He makes an amazing curry and lots of brilliant Mexican flavoured dishes. 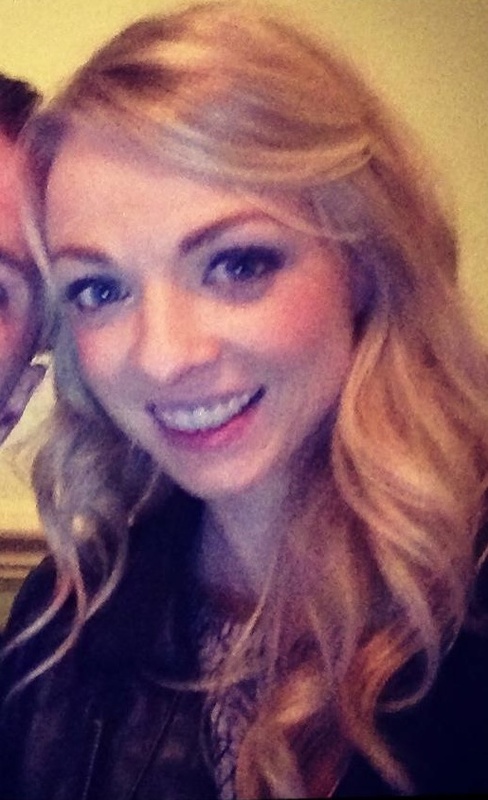 I’m Amy, I’m vegetarian and work for an event management company in the Midlands. I was lucky enough to study my MSc in Events & Festival Management in the beautiful city of Edinburgh and have had the best time since graduating; working with some amazing people on some fantastic music, fashion, and charity events. I love music (all sorts), shopping (particularly for home furnishing, candles and make-up) and my favourite place in the world is the hairdressers (my mum’s fault!!). I’m a fair weather runner and boxfit-er and like a tidy house - something James and I have differing opinions on! Together we like to be outside, walking or gardening. We love live music and love going to gigs together. We love entertaining and are happiest when hosting dinners or parties for our friends, Jim does the cooking while I pour the drinks (and do the dishes). We love reading, although rarely the same books. We thoroughly enjoy a semi-regular rum and burrito night and a snuggle up in front of the fire with a good book or film, a large mug of tea each and a packet of bourbons (vegan of course). So with all that in mind we set about coming up with ideas for our wedding. This blog will record some of the great, and less than great things, we come across in our year ‘til the wedding.